Rich Media: Must provide FLA, SWF, AS, image, uncompressed media, all font files used, and any other source files used to build the files delivered. D1baseball.com may also request an interim review of creative before it’s finalized in order to ensure that it follows these guidelines. All ads must be IAB compliant with their Ad Unit Guidelines. D1baseball.com limits all animation, even when subtle, to a maximum of 15 seconds. Animation may resume with mouse over, but most stop immediately upon mouse off. Audio in advertising is only allowed when initiated by a click that a reasonable person would expect to trigger audio. Users will retain the option to mute audio at all times. Ads must be clearly differentiated from page content either through a defined linear or graphical border, a solid contrasting background color, or a combination of the two. Pop-up advertising is not permitted. The browser back button must work from the landing page linked to. Ad offers and their corresponding landing page must be directly relevant to each other. Ads cannot be used in connection to content that is illegal, promotes illegal activity, or infringes on the legal rights of others. Ads may link to social networking account pages (Facebook, Twitter, YouTube, etc.) that are controlled by the advertiser, as long as the ad meets our other requirements. Sign-in pages should only be linked to for a specific reason, such as ads with age-restricted content. 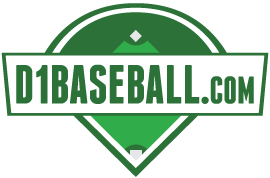 Start Advertising with D1 Baseball!